It was early January 2005, and things were a little shaky to say the least out at the pulp mill on the Samoa Peninsula. Stockton Pacific Enterprises, Inc., then-owner of the mill, was sinking fast into the surf under nearly $30 million debt to investor PPM America, which had loaned SPE the money to buy the mill in 2003. It owed several million to suppliers. It had but pennies in the bank. And it faced grave accusations of environmental violations.Then the mill shut down, 100 employees were laid off, and in lieu of the steady plumes of white steam issuing from its stacks speculation rose: The mill would stay shut forever. The mill would be bought by its employees. The mill would be purchased by outside interests. In the end, on Jan. 20, Evergreen Pulp, Inc, a subsidiary of Chinese paper manufacturer Lee & Man, acquired the PPM note, thereby becoming the mill’s new owner. It would acquire the rest of the mill’s assets by that fall. But according to a lawsuit filed on Aug. 3, 2006, it was during those uncertain days in early January 2005 that three of SPE’s top managers wrongfully paid themselves by allegedly transferring $250,000 into a bank account in Salt Lake City, Utah, through fraudulent means. The accused — former SPE Chief Executive Officer Steve Fleischer, former SPE Chief Financial Officer Bruce Uhren and former SPE Vice President Alan Lindgren — have denied the allegations. In addition, Fleischer and Uhren filed cross-claims accusing Evergreen, among other things, of negligence, fraud and breach of contract. Evergreen’s case against the mill’s former managers is a curious digression from the usual reasons the company has made headlines since acquiring the mill — for repeated delays in dealing with assorted pollution violations. These allegations of funny money handling by former top dogs have been kept pretty well under wraps. 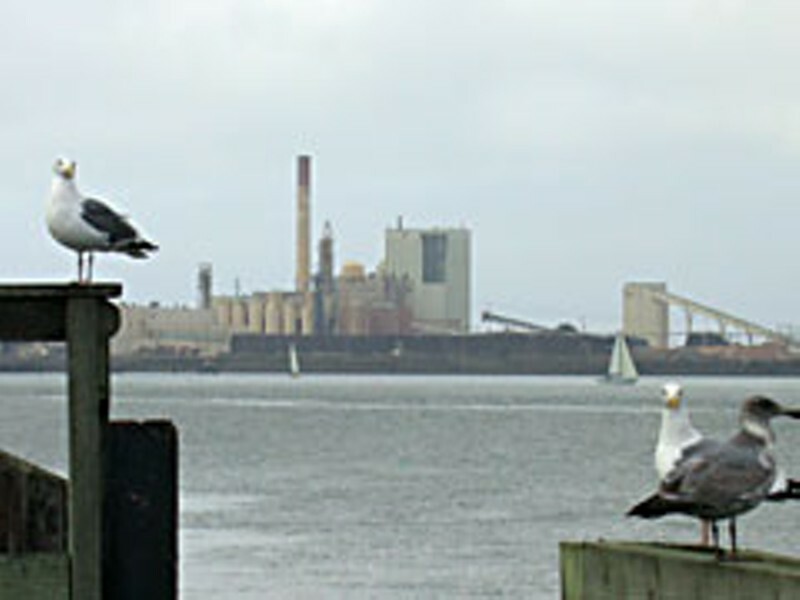 Evergreen’s complaint begins by establishing that when SPE borrowed money from PPM, the loan was subject to a security agreement that “granted a lien on ... all accounts.” Then it lays out the crux of the case: “On or about January 13, 2005, at a time when Stockton Pacific Enterprises, Inc., was insolvent, defendant Uhren directed Jiki Bertsch-Betts, the Controller for [SPE] to wire transfer $250,000 to Key Bank, Salt Lake City, Utah.... No explanation was given to Ms. Bertsch-Betts as to the purpose of the wire transfer ... and said account was not previously used, and had never been used, for purposes of payroll payments of [SPE]. “On January 20, 2005, Evergreen Pulp, Inc ... purchased the August 15, 2003 note and security payment from PPM pursuant to assignment which was approved by defendant Fleischer on behalf of [SPE]. Evergreen’s complaint asks for $350,000 in damages, plus payment of legal costs. In essence, their cross-complaints say that both had signed employment agreements with SPE, and that these contracts authorized “all payments made” to them in connection with their employment and consulting services — even under new ownership. They allege that Evergreen breached its duty “by failing to inspect the agreements, rights and responsibilities surrounding those employees,” that it “made false representations of material fact” to them regarding their employment and compensations and that it “had an obligation to pay” them “in accordance with” these agreements, but failed to. Timothy Needham, the Eureka attorney representing Evergreen, said he couldn’t talk about the case until after the trial is over. DeCaro, who presumably still represents Uhren, likewise declined. Mark Norcross, Lindgren’s attorney, did not return phone calls. Nor did Uhren or Lindgren. Fleischer, reached at his home in Colorado, agreed to talk. He laid out what it was like back in January 2005 when the pulp mill was wavering. He was faced with three options: close the mill, fix the company so it was profitable or sell it. Come January, it was clear Lee & Man would be buying the company. “But a week before the sale, we had a water main break,” said Fleischer. “And Lee & Man did not want to put any money into it. So I closed the mill and laid off all the employees of the mill, and in laying them off I paid all of the legal obligations to them: back pay, regular pay, vacation pay, accrued overtime. We also paid off almost all of the unsecured creditors,” except for half a million dollars owed the Humboldt Bay Municipal Water District. Later, after talking with Uhren, Fleischer offered a different explanation: Any payment (beyond regular pay) made to a corporate officer had to “have the authorized signature of another officer.” And the Utah account was the only one Uhren was authorized to sign on. This past September, Evergreen dismissed its allegations against Lindgren. Jeff Herm, general counsel to Evergreen, declined to say why. According to Fleischer, Lindgren and the paper company have settled.